Turn visitors into customers with Live Chat. 96% of your visitors leave without engaging or signing up. Start converting them to customers with GoSquared. Visitors are coming to your website every day. When they don’t find answers to their questions they either get in touch or they leave. So why make it hard for them to talk to you? …so be there to answer them. GoSquared opens a direct line to every visitor on your website, so you can answer their questions before it's too late. 2. Automatically prompt visitors for feedback. Encourage actionable feedback from your visitors. 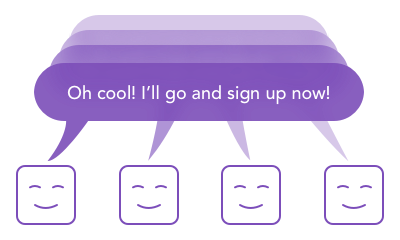 Find out why they’re not signing up and what’s holding them back with automated Chat Prompts. 3. Respond to questions instantly wherever you are. 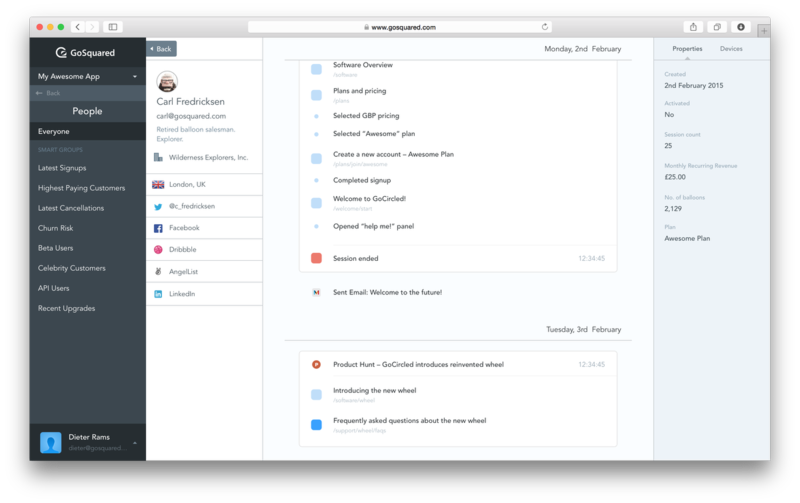 Respond to visitors while at your desk or on the go with GoSquared Inbox. Everything’s in one place so you can reply quickly with a helpful response. Your visitors are real people – so GoSquared makes it easy to see who they are. See the browsing activity that led them to get in touch, and if they leave their email address, you can even see their social profiles, job title and the company they work at. One definitive profile for every lead. With a definitive understanding of every lead you can easily collaborate with sales, account management and customer service to turn visitors into customers. Turn visitors into customers quicker than ever. Share a GoSquared People profile with your sales team and they'll have everything they need to close the sale. Convert more visitors into leads by providing helpful answers. Customer service can help easily when they have access to the same profile of every lead. Because GoSquared shows the actions someone took before signing up, you have all the information you need to improve your signup process. Centralise your users, contacts and signups. GoSquared connects with all the services you already use to bring everyone connected to your business together in one place. Every newsletter signup, every sales lead, every trial user, and every loyal paying customer – all in one place. 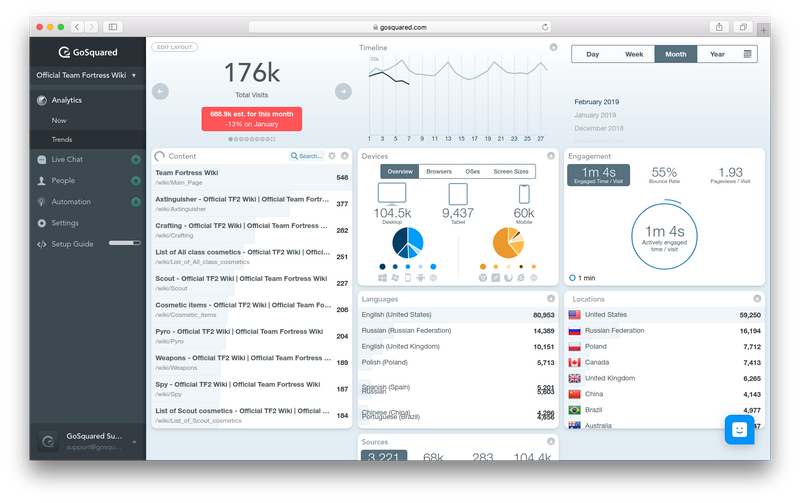 Because GoSquared is an all-in-one platform, you have all the metrics you need to measure your marketing and conversion. Your whole team can make data-informed decisions with easy-to-use, real-time dashboards. It's hard to improve what you don't measure. That's why GoSquared gives you easy-to-understand growth metrics out of the box with no setup necessary. 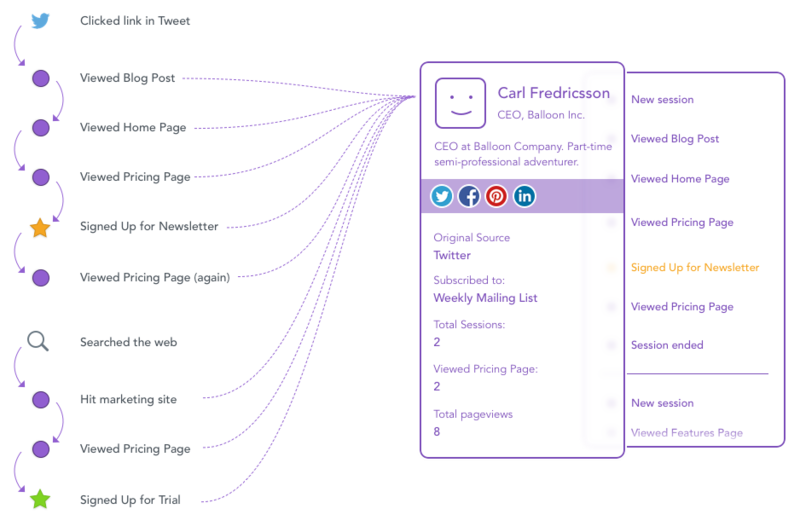 See your most popular pages and blog posts in real-time. Get alerts for when content is popular, and focus your energy on improving your important pages. Instantly see when a new comment thread is unfolding, or a blog post has just gone live featuring you. Engage in conversation when it's most effective. Most of your visitors leave and never return when they don't understand your website. Convert more visitors into leads with the power of GoSquared. 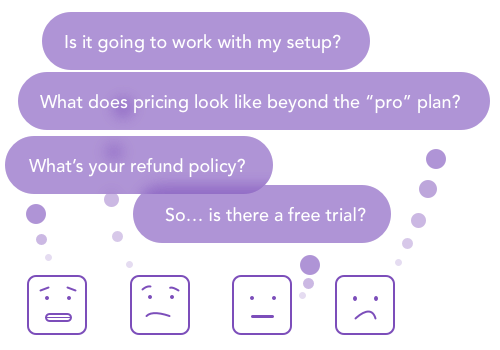 GoSquared enables you to communicate with your visitors, answer their questions, and turn them into customers. All the information you need to talk to new signups with a personal message – Twitter, Facebook, LinkedIn and more. See the routes people took before signing up. You can even see if people visited multiple times before converting. Find any user or customer in an instant with powerful search. Just type a name, email or even Twitter handle to find anyone. A daily summary of your website traffic, showing your most viewed pages, sent to your inbox every morning. Don’t be the last to know about traffic spikes and downtime on your marketing website. Some services charge you by the "seat" – so you pay more for growing your team. GoSquared doesn't charge by seat, so everyone's in the loop. Start your 14 day trial now. Everything you need to acquire more leads.